The power grid frequency is 50 Hz in Europe and 60 Hz in the US. 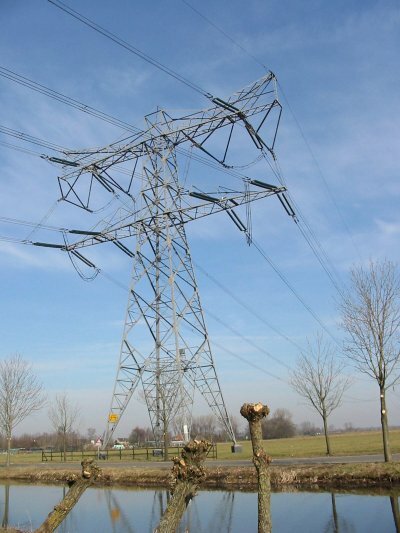 The high-voltage power lines carry the same frequency as the rest of the power grid. Electric equipment and power lines emit 50 or 60 Hz radiation. But power lines can carry up to quarter of a million volt and they emit correspondingly more radiation. The 50 and 60 Hz frequencies are in the so-called Extremely Low Frequency (ELF) regime. ELF covers frequencies below 300 Hz. These frequencies are much lower than the frequencies that are utilized by radio, TV or mobile phone. It is a very human urge to look for patterns. When cancer strikes two or more children at a school, we feel the need to identify a cause. 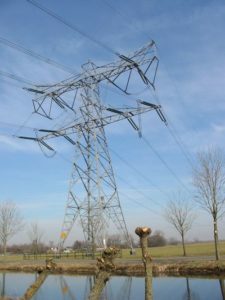 The Eiffel-Tower-like constructions from which high-voltage power lines are suspended are eye-catching and they may be more easily singled out as a cause of cancer than the drinking water or the thermal insulation in the walls and ceilings of the building. Power lines were suspicious from the very moment they first appeared in the landscape. It was in 1979 that a first scientific study was published about the relation between exposure to ELF radiation and the occurrence of cancer (Wertheimer and Leeper, 1979). 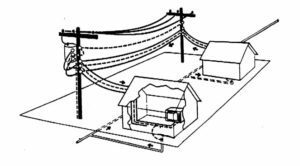 Small substations, where high voltages of about 10 kilovolt are converted to the normal home voltage of (120 volt in the US and Canada and 230 volt in Europe), are found at almost every street corner. Cables carrying large amounts of power are mostly found near these substations. 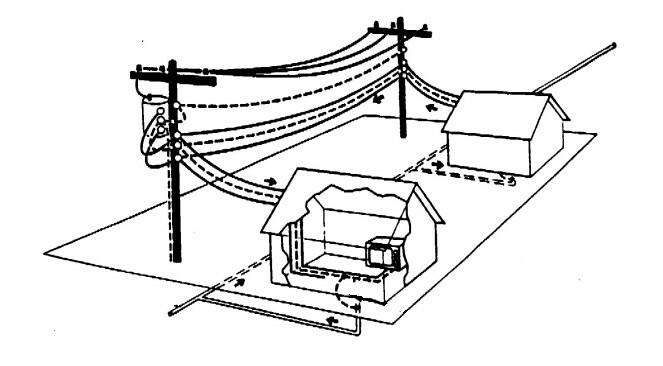 Wertheimer and Leeper divided households in the Denver area into two groups: one group within a certain distance of a high power cable and the other group outside that range. They next collected birth and death certificates going back to about 1950. The data showed a slightly elevated risk of juvenile cancer for those living in the vicinity of the high power cables. The analysis of Wertheimer and Leeper almost immediately drew heavy criticism (Miller, 1980). It was pointed out, for instance, that the distance of a dwelling to a high power cable is a very poor measure of the lifetime ELF radiation that its inhabitant is exposed to. A person gets as much ELF radiation from electric blankets, refrigerators, television sets, electric stoves, washing machines, etc. at a distance of about one meter as that he or she gets from the high power cables at a distance of about ten meters. After 1979 researchers gathered better data on the relation between ELF exposure and cancer and they did better analyses. This kind of epidemiological research is far from trivial. Not only does the subjects’ lifetime exposure to ELF radiation need to be assessed, but an assessment also has to be made of the subjects’ exposure to other cancer causing factors (smoking, obesity, etc.). The issue was hotly debated in the scientific journals for about 20 years. Researchers presented their work and scrutinized the data and methods of their colleagues. In the end no effect of ELF radiation was ever demonstrated that was convincingly larger than the statistical margin of error. As a result, the actual existence of any effect became increasingly doubtful. Reports of the World Health Organization currently give the impression that ELF is a closed chapter. Parallel with the epidemiological research there was debate and speculation in scientific journals about possible mechanisms through which ELF radiation could affect living tissue. As the word suggests, there are two components to an electromagnetic wave: an electric one and a magnetic one. It is the electric one that matters in this context. For every living cell there is a voltage of about 100 millivolt across the cell’s membrane. The inside of the cell is negatively charged relative to the outside. The electric field in the cell membrane can be obtained by dividing that 100 millivolt voltage by the width of the cell membrane. Because the cell membrane is very thin (about five millionth of a millimeter), that electric field is very strong. This self-produced electric field is much larger than the electric field that is received at ten meters distance from a high-voltage power line that carries a quarter of a million volts. Furthermore, every electric resistor produces its own noise. This noise is due to random, Brownian motions of molecules, electrons, and ions. It is no different for the membrane of a living cell. It turns out that the signal of a high-voltage power line is negligible compared to the noise that the membrane itself produces (Adair, 1991). Any ELF signal that a person normally receives from any equipment or device is completely overwhelmed by the electric noise that is internal to his or her own physique. 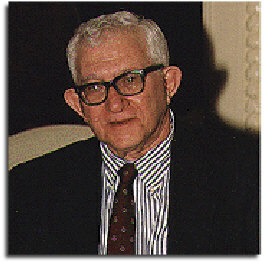 Abraham Liboff was a professor at Oakland University in Rochester, Michigan. In the 1980s he promoted the idea that it was through ion cyclotron resonance that ELF radiation had an effect on living cells. 2 π f = B q/m . Here q is the electric charge of the particle, m is the mass of the particle, B is the strength of the magnetic field, and π is familiar 3.14.. that represents the ratio between the circumference and the diameter of a circle. A cyclotron is a particle accelerator that works on the basis of the above formula. The operation of a mass spectrometer is based on the same effect. Liboff took the charge q and the mass m of ions like sodium, calcium, chloride or potassium. He then noticed that upon substituting the strength of the Earth’s magnetic field for B, ELF frequencies are obtained for f. Liboff next suggested that resonance could occur between the circular motion and the 60 Hz radiation from the power grid. This means that the ELF signal boosts the circular motion in the same way that well-timed, repeated pushes can make a child on a swing go higher and higher. This idea is obviously problematic. 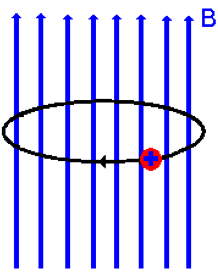 In a cyclotron and in a mass spectrometer the particle trajectories are circular because of a magnetic field. But this is happening in a vacuum, i.e. in a space free of other particles. That vacuum is necessary, because collisions with other particles would immediately end the circular motion. The inside of a living cell, however, is not a vacuum. It is mostly liquid water and the molecules are densely packed. At normal body temperature, water molecules and dissolved ions move with speeds of a few hundred meters per second. Between subsequent collisions a water molecule covers a distance that is barely larger than its own size. In the end there are about a trillion (a million times a million) collisions per molecule per second. Because of this so-called Brownian motion, ion cyclotron resonance in liquid water is a complete impossibility. Liboff, however, suggested that the ion cyclotron resonance would occur inside the calcium channels that are found in a cell’s membrane. Calcium commonly plays the role of a signaling ion: there is almost no freely dissolved calcium inside a living cell, but by letting in a small amount of calcium certain processes can be set in motion. 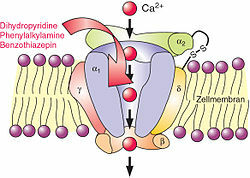 Calcium channels are membrane proteins with pores through which calcium can pass to the inside of a cell. These pores are barely larger than the calcium ions themselves and it is hard to imagine that significant circular motion can occur inside these channels. Also, the ELF signal from outside will be small and inconsequential because of the huge electric field across the membrane and because of the overwhelming internal noise. Liboff and his coworkers did experiments and in fact measured an ELF effect on calcium traffic (Liboff, 1987). However, when other researchers repeated these experiments, the ELF effect could not be reproduced (Parkinson and Hanks, 1989). In the 1990s the debate about ELF radiation died down. This was in part because it was becoming increasingly clear that there was no effect. But what also played a role was the rapid proliferation of mobile phones. Mobile phones operate with frequencies of about a gigahertz, i.e. a billion hertz. For these so-called microwaves the frequencies are tens of millions of times higher than those of ELF radiation. Compared to ELF, microwaves are not as good of a stepping stone to engaging physics or pretty mathematical derivations. Microwave frequencies are so high that a biological system will only “feel” the average. For an AC signal that average is simply zero. For very high frequencies, the fact that the delivery of electromagnetic energy occurs in packages, the so-called quanta, becomes important. In case of visible light, ultraviolet light, X-rays, and gamma radiation, these quanta carry amounts of energy that are sufficient to bring biomolecules (proteins, DNA) into an excited state or even damage them. But microwave radiation can have no such effect, because microwave quanta do not carry enough energy. You can warm something up through irradiation with microwaves. That is what actually happens in a microwave oven. However, a mobile phone’s use of power, i.e. the amount of watts it consumes, is very tiny. This is why a mobile phone that is switched on does not feel any warmer than one that is switched off. There is a currently a lot of epidemiological research on the biological effects of microwave radiation. But the biophysics is very clear. It was in the summer of 2016 that I was approached by prominent members of the Dutch Sceptics Society. A clinic in Ede, a mid-size town in the central part of the Netherlands, was offering alternative medical treatment with “bioresonance.” The clinic’s website enthusiastically described the “scientifically based” effectiveness of treatment with a special bioresonance device. 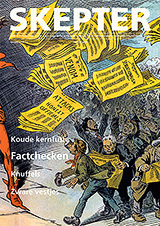 The advertisement promised more than could be lived up to and a complaint was filed with the RCC (Reclame Code Commissie), the agency in the Netherlands that arbitrates in matters where false advertising is alleged to have occurred. As the first step in the complaints procedure, the advertiser is given the opportunity to put together a dossier to support the veracity of the advertisement’s claims. The complainant next receives a copy of that dossier and gets an opportunity to respond to it with a dossier of their own. The RCC then considers both dossiers and, after a few months, delivers its decision and report. The RCC is not a court of law. It is an advertising watchdog, set up by media, manufacturers and consumers. Its decisions are not legally binding, but is customary in the Netherlands that parties to a dispute accept the RCC’s decision. The clinic disagreed with the complaint and they compiled a dossier. I was somewhat surprised to see that an article by Dr. Alberto Foletti and a number of coauthors (Foletti et al, 2013) was part of the dossier. Surprised, because in that article an article of mine from 2005 (Bier, 2005, also on my website) was cited. About ten years before I had indeed written a few articles about electric noise vs. ELF radiation in a cell membrane. But with waning scientific interest in ELF, I had moved on to other things. The BICOM (from BIologische COMputer) picks up a signal from the hand electrodes and sends an ELF electromagnetic signal back to the mat under the patient. The signal from the hand electrodes carries no information about the patients’s inside and the delivered ELF signal will be overwhelmed by the electric noise in the body. Even the cheapest BICOM device costs about 25,000 euro. The bioresonance device that was central in the case in front of the RCC contains a small mat that is put on top of the patient’s stomach or underneath the patient’s back and that delivers the ELF radiation (see illustration). However, the device that the clinic in Ede used was actually a completely different device from the one that is promoted in the article by Foletti and his coauthors. 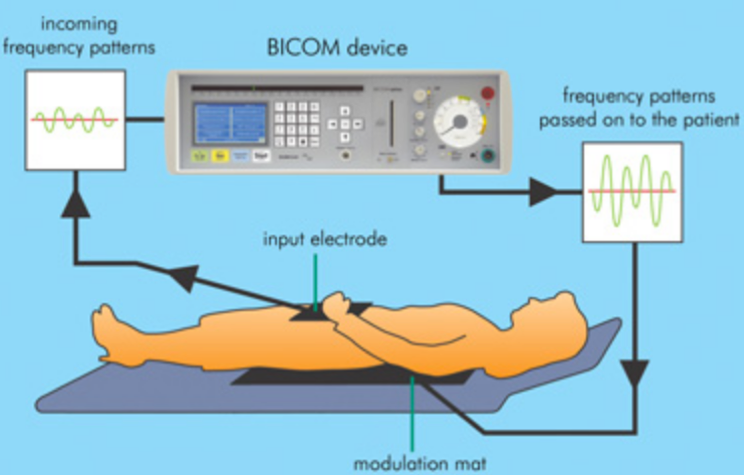 The clinic used a device called the BICOM (see illustration). The BICOM predates Liboff’s theory about ion cyclotron resonance and it is basically L. Ron Hubbard’s E-meter with some added parts. It is no coincidence that the inventors and developers of the BICOM were actual Scientologists. For more details about bioresonance consult the German site Psiram. An English survey of the ideas behind about 50 brands of such devices is on Quackwatch. The BICOM presumably takes signals from hand electrodes. For the part of the signal that corresponds to an ailment, correcting signals are next sent to the small mat. These correcting signals are supposed to extinguish the ailment signals and thereby cure the ailment. The “healthy” part of the hand electrode signal, on the other hand, is presumably amplified and then sent back to the mat. The major part of the delivered signal is in the ELF range of the electromagnetic spectrum. As was explained before, the signal is of no consequence as it will be overwhelmed by electric noise in cell membranes. The only effect of the BICOM is a placebo effect. The theory behind the BICOM is too nonsensical for further serious discussion. But there is one gigantic misnomer that needs to be pointed out here. The word “bioresonance” appears again and again in the marketing of the device. From a physics point of view, this is the wrong word. Normally we speak of a “resonance” when a periodic signal is amplified by well-timed pulses from the outside. We already saw the example of the child on the swing that is pushed with the right frequency. If the BICOM is really doing what it purports to do, i.e. extinguish a signal with another signal, then it is not “resonance,” but “destructive interference.” Also the amplified “giving back” to the patient of the healthy part of the signal is not a resonance. We call that “positive feedback” and it is what you get when you put the microphone in front of the speaker where it picks up the amplified signal again. Things get out of hand when you do that and a screeching noise results. The fact that nothing similar occurs with a BICOM treatment already indicates that the administered signal from the mat does not reach the hand electrodes. The products of Seqex have no input electrodes. The ELF frequencies are administered through a mat or vest. Like with the BICOM, the human body does not detect any of the applied radiation. The article by Foletti and his coauthors is basically an advertisement for BICOM’s competitor, the Seqex. Just twenty lines into the “Clinical Applications” part of the article the reader is referred to the website of the manufacturer . “It has been effectively used to treat …,” we read. And a little further down: “In addition to the fact that this device employs holistic application of the combined fields, it is unique in that …” The Seqex products do not feature hand electrodes. The ELF radiation is administered through a somewhat larger mat that the patient has to lie down on or through a little vest that the patient has to put on (see illustration). What struck me most in the article of Foletti and his coworkers was the presentation of the ion cyclotron resonance theory. There is actually a table that lists what precise ELF frequencies correspond to what physiological processes. The nonsensical theory that at the end of the 20th century explained why ELF causes cancer is now presented as the reason that ELF radiation can cure all sorts of ailments. It went from carcinogenic to panacea. It is a little bit of a tragedy that my work was cited without having been read. 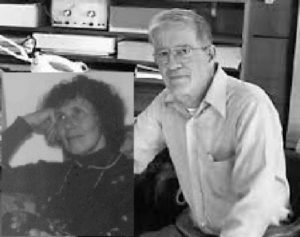 Had the authors actually read my article, they would have understood that these all these bioresonance treatments are merely a form of electromagnetic homeopathy. The article by Foletti and his coworkers was published in Electromagnetic Biology and Medicine (Foletti et al, 2013). I had never heard of this journal and it soon became clear why. The journal has a very low so-called impact factor. Every scientific journal has an impact factor. One readily finds this number on the journal’s own webpage or on Wikipedia. The impact factor indicates how often on average an article from that journal is cited in other scientific articles later on. So the impact factor measures the “impact” of an average article in a certain journal and thereby quantifies the esteem that that journal has in the scientific community. Journals work hard to make their impact factor as high as possible. For prestigious journals like Nature and Science the impact factors are 41 and 33, respectively. For Electromagnetic Biology and Medicine it is a pathetic 1,2. Many articles in Electromagnetic Biology and Medicine are organized in the same way as the article by Foletti and his coworkers. It starts out with a description of ailment and theory. This is followed by the presentation of a remedy and an introduction of the device that is required for the remedy. The website where the device can be ordered is explicitly mentioned. At the end of the article by Foletti and his coworkers we read under the section heading “Declaration of Interest”: “The authors report no conflicts of interest.” This is a bit questionable. Alberto Foletti has a practice in Lugano in Switzerland and mentions his publications on his website. His website states that he is also the president of a professional organization of “information-biophysical therapists” (Associazione Italiana Terapia di Informazione Biofisica). The aforementioned Abraham Liboff is one of the coauthors of the Foletti article. Liboff features very prominently on the website of Seqex and there are eight videos where he personally explains the theory and therapy. Liboff also holds a number of patents related to the therapy. The same names that appear and reappear in the Seqex business imperium are also encountered time and again in association with the dubious scientific activities. It is hard to not get the impression that scientific interests and business interests are very interwoven here. On Foletti’s site the above mentioned video page also has a grey rectangle center top with the words GO TO WEBSITE. From there one arrives at a page with links to twelve articles. These articles are supposed to give scientific validity to the Seqex treatments. Without exception, the articles are from Electromagnetic Medicine and Biology. Apparently, Electromagnetic Medicine and Biology has already been the subject of a conflicts-of-interest discussion before. In view of all this, it is not that hard to understand why the impact factor of Electromagnetic Biology and Medicine is so low. These articles are not intended to move science ahead. It is disguised advertising. Articles are not written to have an impact in the world of science. They are written for the websites of “Big Alto” companies and for the shelves in the waiting rooms of alternative healers. They are intended to give quackery a scientifically legitimate appearance. For the peer review of manuscripts, authors rely on each other and with a collective quid pro quo “confirmation bias” the entire subculture moves to outside the scientific mainstream. Seqex is mostly an Italian phenomenon. 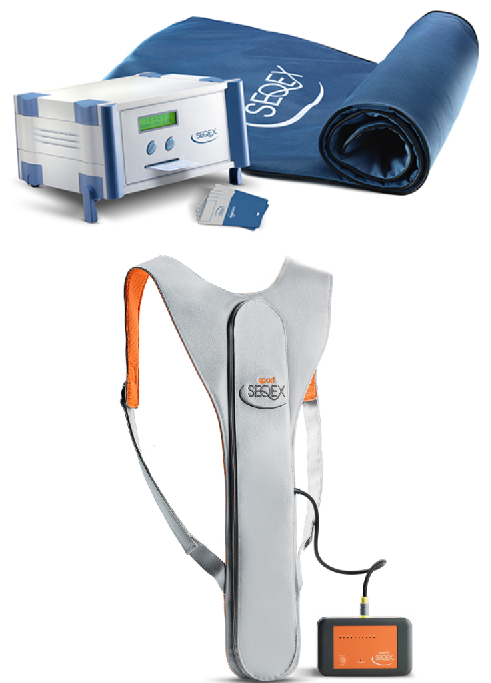 Their website shows on ‘Where to find Seqex?’ that in every Italian province there is a large number of practices offering treatment with Seqex devices. While searching on the internet, I noticed that Seqex suffered a little setback in Canada: an apparent “product recall” because the company was selling medical devices without the required license . In September of 2016 the RCC (for the link see the Dutch version of this article) published its decision and ruled in favor of the complainant. The clinic in Ede has meanwhile removed the most flagrant deceit from its website. A local battle appears to be won. But there is hardly reason for rejoicing. The site http://www.fitronics.nl/ is a kind of central BICOM website for the Netherlands. You can enter a postal code and look for nearby therapists. It turns out that there are about 285 small practices in the Netherlands that offer treatment with the BICOM. Over 40 of them are operated by physicians. There are also big networks in other countries (see, for instance, http://www.bicom-med.pl). 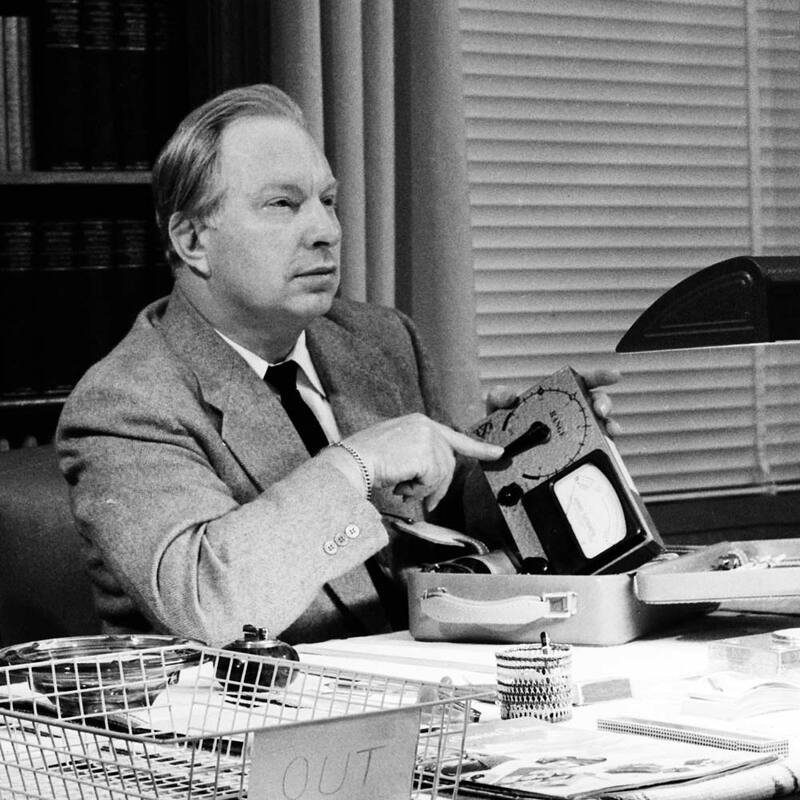 L. Ron Hubbard is dead and Scientology is in a worldwide decline, but the pseudoscientific legacy of the movement and its founder is still a big moneymaker! I am grateful to Gerard Borst, Kees van den Doel, and Paul Versteege for their critical feedback on earlier versions of the manuscript. Adair, R.K. 1991. Constraints on biological effects of weak extremely-low-frequency electromagnetic fields. Physical Review A, Volume 43: p1039. Bier, M. 2005. Gauging the Strength of Power Frequency Fields against Membrane Electric Noise. Bioelectromagnetics, Volume 26: p. 595. Foletti, A., S. Grimaldi, A. Lisi, M. Ledda and A.R. Liboff. 2013. Bioelectromagnetic medicine: The role of resonance signaling. Electromagnetic Biology and Medicine, Volume 32(4), p484. Liboff, A.R. et. al. 1987. Ca2+-45 Cyclotron Resonance in Human Lymphocytes. Journal of Bioelectricity, Volume 6(1): p13. Miller, M.W. 1980. Re “electrical wiring configurations and childhood cancer”. American Journal of Epidemiology, Volume 112(1): p165. Parkinson, W.C. and C.T. Hanks. 1989. Experiments on the interaction of Electromagnetic Fields with Mammalian Systems. The Biological Bulletin, Volume 176(2S): p170. Wertheimer, N.W. and E. Leeper. 1979. Electric Wiring Configurations and Childhood Cancer. American Journal of Epidemiology, Volume 109: p273. Please comment below the Dutch version.